Different professional and academic disciplines have addressed the HIV/AIDS pandemic from a variety of perspectives, using different analytical approaches. 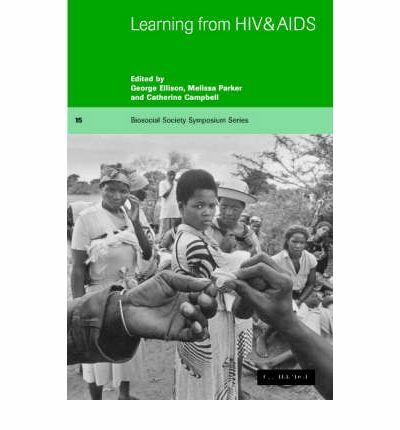 By bringing these together in one volume, Learning from HIV/AIDS provides a more complete picture of this multi-faceted disease - from the biological and social factors which facilitate HIV transmission - to the powerful cultural and political forces which fuel the pandemic. Chapters from contributors working on the aetiology, treatment and prevention of HIV/AIDS identify how their work has helped predict the spread of HIV and has improved the survival of those infected. Yet interventions to reduce the spread of HIV have had limited success, and few HIV-infected individuals have access to combination drug therapies. Written for students and researchers, and taking an interdisciplinary perspective, this book demonstrates that progress in developing effective and acceptable interventions can only be achieved through collaboration between the biological, medical and social sciences.